Global bond ETF investors that track the benchmark Bloomberg Barclays Global Aggregate Index may soon have exposure to Chinese renminbi-denominated government and policy bank securities. 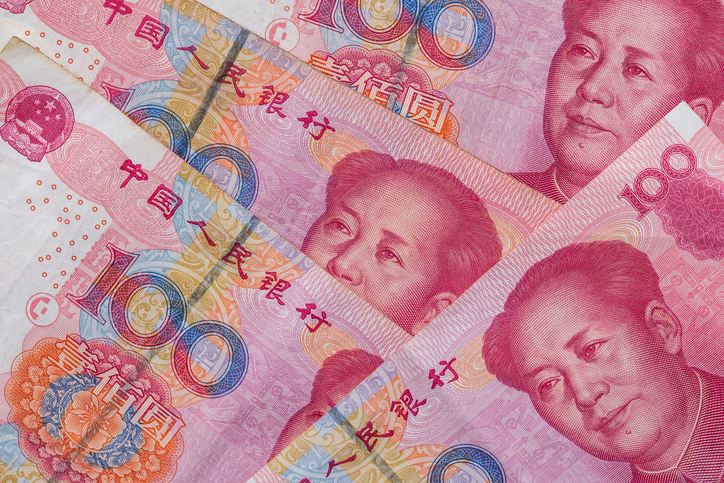 Bloomberg announced that it will be adding Chinese RMB-denominated debt to its Bloomberg Barclays Global Aggregate Index over a 20-month period starting April 2019, according to a note. Once fully implemented, local currency Chinese bonds will make up the fourth largest currency component in the Global Aggregate Index, following the U.S. dollar, euro and yen. Based off January 31, 2018 data, the index would include 386 Chinese securities or 5.49% of the $53.73 trillion index. The indexing changes may also translate over to global bond ETFs that track related international Aggregate Indices. For instance, the iShares Core International Aggregate Bond ETF (NYSEArca: IAGG), which tracks the Bloomberg Barclays Global Aggregate ex USD 10% Issuer Capped (Hedged) Index, and the Vanguard Total International Bond ETF (NasdaqGM: BNDX), which tracks the Bloomberg Barclays Global Aggregate ex-USD Float Adjusted RIC Capped Index, do not include significant exposure to Chinese debt securities.